1) What are funding decisions based on? In addition, grants need to be accurate, complete, and meet all of the requirements outlined in the Eligibility Checklist. Grants that are funded must also have valid quotes. 2) Is there an opportunity for me to get advice or ask questions about my CFC grant application? Yes! Club Finance Council holds grant application review sessions to provide applicants with the opportunity to ask current board members questions and review their grant applications before the grant application intake dates. You may also contact the CFC Student manager or the CFC Program Coordinator to set up meetings and ask questions. 3) Can you apply more than once? Yes! 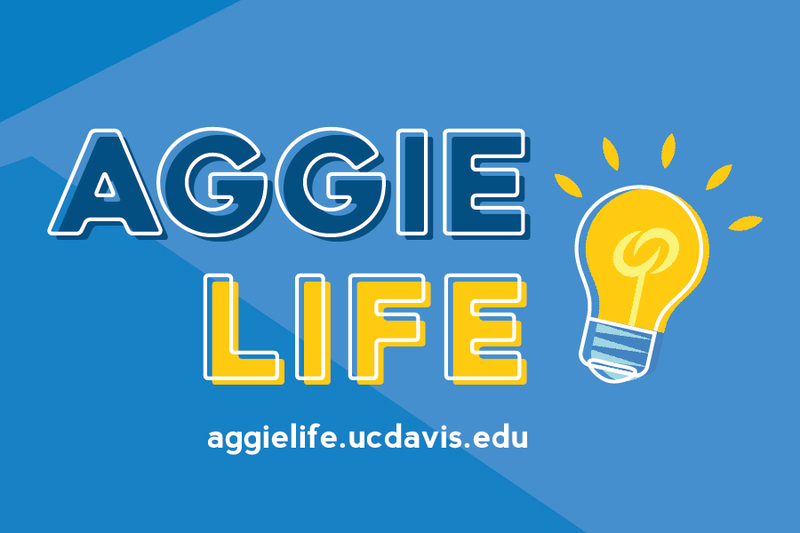 Registered undergraduate student organizations may submit a grant application for each event they hold. 4) What is the maximum amount of money awarded? 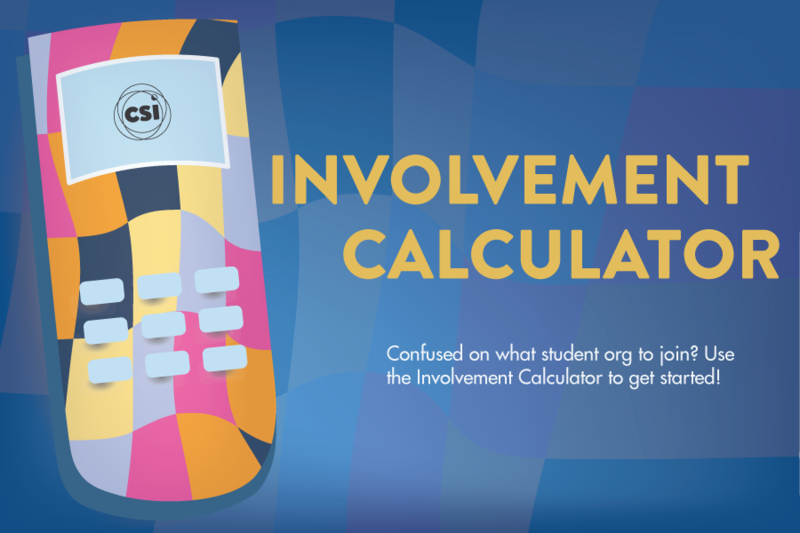 $2000 is the maximum amount a student organization may receive in a year. Most organization’s awards range from $50-$500 based on the complexity and need of their program/event/publication. 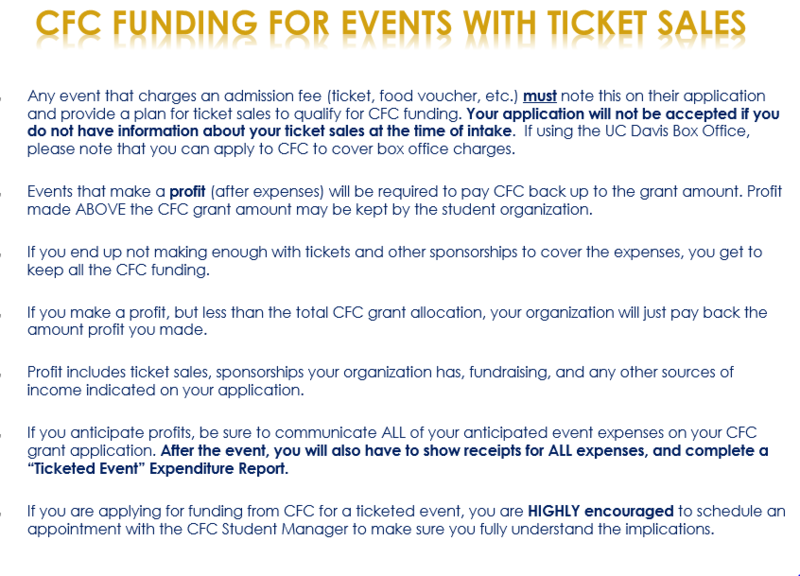 CFC does not fully fund any event. 5) Where does the money come from? The money comes from ASUCD, your UC Davis student government as well as from Pepsi through a contract the university has with them. 6) Are there any stipulations regarding CFC funding? Yes. CFC funding can only be allocated for ONE-TIME USE items. 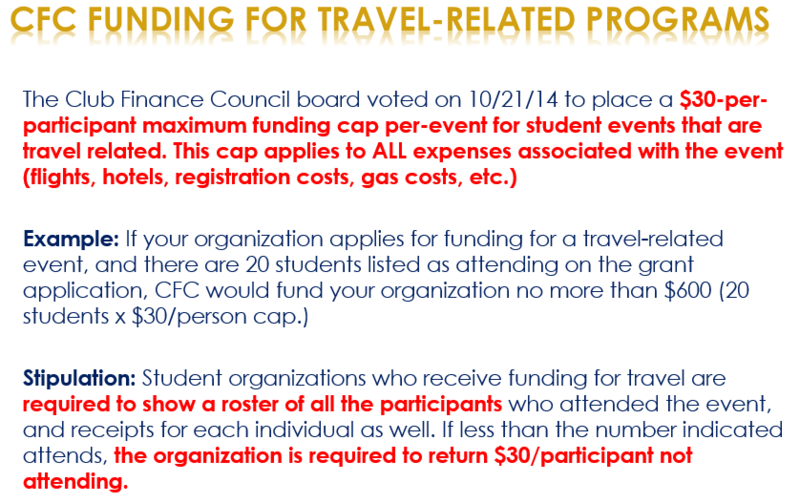 Additionally, CFC has a policy regarding funds allocated to Ticketed Events, and funds allocated to Travel-Related Events. Plan ahead. Most successful applicants attend a review session and complete their application early so they are not scrambling last-minute. Fill out the Grant application correctly, making sure all the $ amounts add up and match those listed on your supporting documents (quotes). Declare your full budget on your application, including expenses that you are paying for. You will not receive funding for an event in a designated space unless you have proof that that space is already reserved. Attach your reservation confirmation to your application. Have exact dates: if you are having an event, know when exactly you will be having it; if you are printing a publication, know when you will be printing. Bring your application in earlier in the day, so if something is wrong, you have time to fix it. The CFC Board members are there to help you, but they can not re-do your entire application. Come in prepared with a complete application. Directly answer the questions the board members are asking you. Being vague prevents the board members from getting all their questions answered (they only have a few minutes) and this does not help you. Be confident! The board members are quite nice, we promise! • Bulk items that can be used more than once if not used up the first time. Examples: pens, folders, paper plates/plastic silverware, etc. 11) What is the CFC Loan Program? CFC offers interest-free loans to registered student organizations. Short-term loans may be awarded up to $300 and have a maximum loan length of 60 days. Long-term loans range anywhere from $301 to $3000. 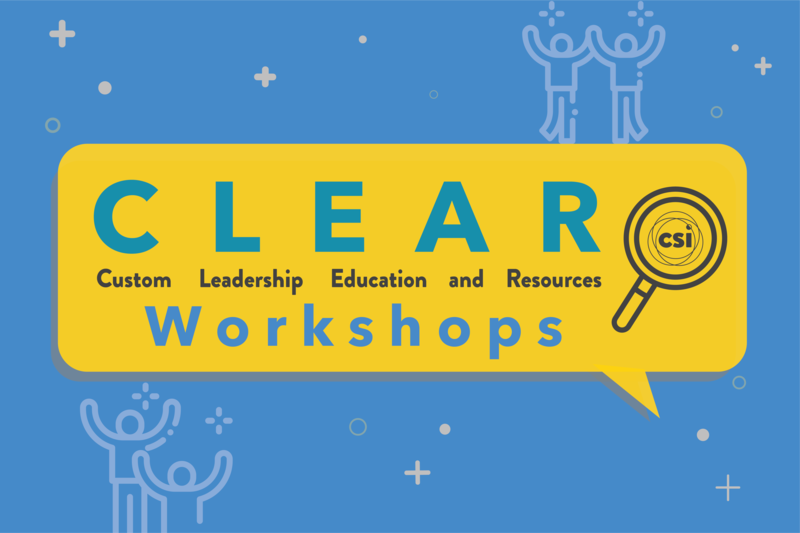 12) How does ASUCD stay knowledgeable about CFC related activities? 13) Who has been funded by CFC in the past?